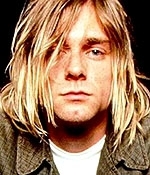 APRIL 1--With the tenth anniversary of Kurt Cobain's suicide days away, below you'll find an assortment of Seattle Police Department documents compiled during the investigation of the grunge star's April 1994 death. The chilling records range from reports from the first officer on the scene to the receipt for the shotgun Cobain, 27, bought a week before his death. Page 1: Receipt for Remington shotgun. Page 2: Cobain missing person report. Pages 3-6: Seattle P.D. incident report. Page 7: Interview with Dylan Carlson. Page 8: Lab report on shotgun. Pages 9-11: Interviews with Courtney Love.